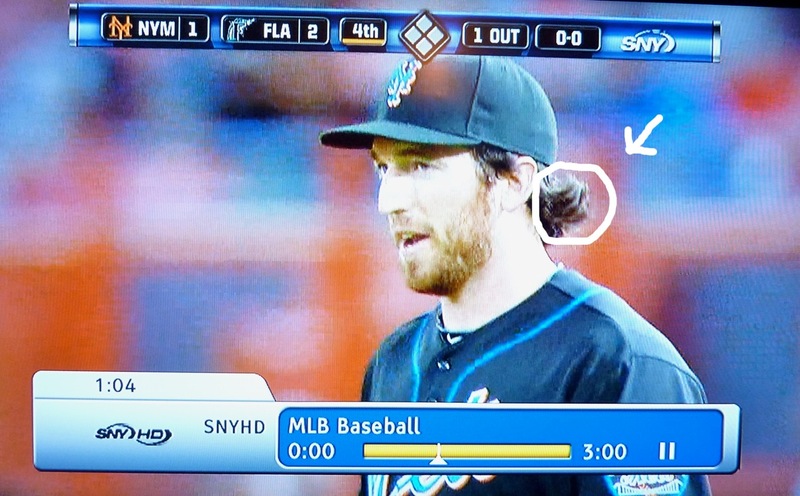 mullet | Pick Me Up Some Mets! 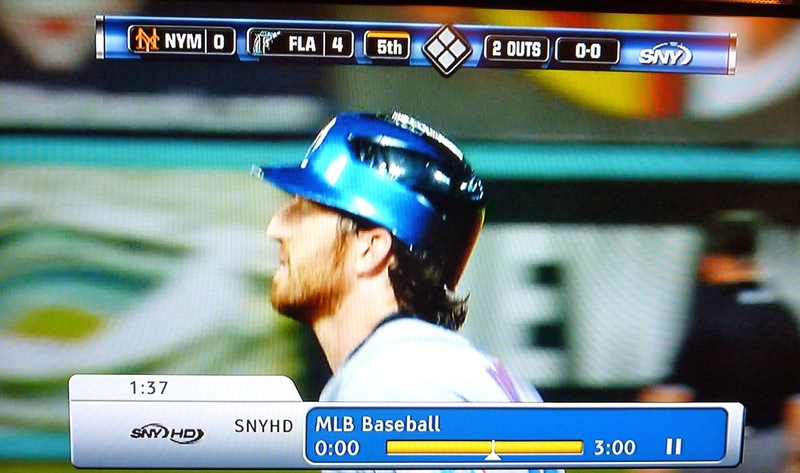 Mostly, the Mets first baseman? Love him. How can you not like Ike? He’s even got his first hr of the season under his belt, he’s hitting well, and he’s dutifully minding first. 1. Haircut. Ikey baby. You’re in dangerous pre-mullet territory. Not even Piazza could pull off the mullet. 2. Chew tobacco. Chaw. Gross. Too gross to screenshot, but Ike’s been spitting it all around first base. Ike, you’re so close to being a role model. Home grown, eager, polite. Let’s get rid of the gross and cancerous. Years ago Pick Me Up Some Mets called out worthy role model dear David Wright for wearing pleated pants. He soon hired a stylist. Coincidence? Well sure, probably. But let’s go Ike – to the hair dresser and then maybe some Chantix. You’re better than this!